The new year has come and gone and now a few weeks into January, it’s time to re-evaluate your New Year’s resolutions. While we start the year off bold and ambitious, most people know all too well how easy it is to quickly fall off your horse and lose sight of your goals — even after just a week or two. But don’t give up yet! 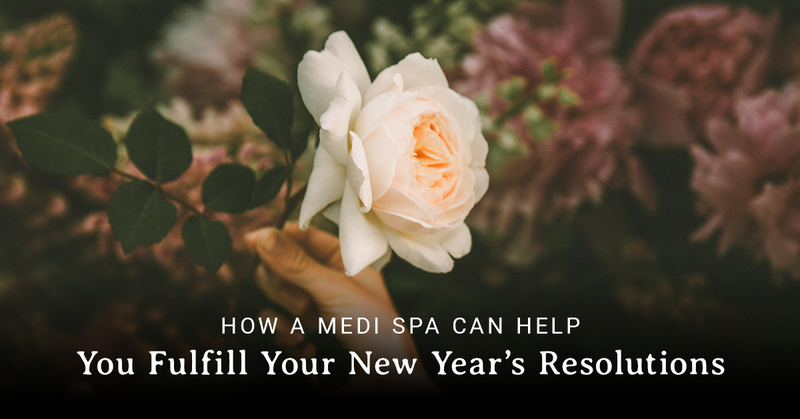 Have you considered that a medi-spa might be able to help you stay on track with your resolutions? Hear us out — resolutions are typically made for self-improvement and increasing happiness. There are plenty of ways that Rejuvenation Medi Spa can help you to do that! Here are some ways that our medical spa can help people in Prince Frederick and La Plata to achieve their goals. One common new year’s resolution is simply pursuing happiness more aggressively. Anyone reading this can surely relate to how crushingly difficult adult life can be, and in all the trials we weather, it can be easy to become cynical. That’s why a lot of people set a simple resolution to be more positive, optimistic, and upbeat about things. It’s common for people’s happiness to be affected by their own self-image. While we advocate for everyone to be happy in their own skin no matter who they are, we also understand how empowering it can feel when you look in the mirror and you just feel beautiful and confident. Well, our medical spa offers a variety of cosmetic services that can improve self-confidence. Do you feel so pale that you’re surprised people don’t wear sunglasses around you? Consider a spray tan, something that’s especially useful in these winter months! Want brilliant eyelashes that will turn heads everywhere you go? Our lash-and-brow tinting and eyelash lift services will be perfect for you. Does your body hair make you feel self-conscious? Get rid of it with waxing services or laser hair removal. Another surefire way to improve your happiness is to improve the quality of your personal relationships. Whether it be your significant other, your parents, siblings, relatives, or friends, there are always things we can do to strengthen our bonds. Did you know that going to a spa together can be a great bonding activity? It’s great to have one beauty partner in your life, and you’ll love hitting the spa together. It will help you feel more comfortable, motivate each other to go, and you’ll have fun comparing experiences afterward. At Rejuvenation, we frequently get guests that come in package deals. Consider giving it a shot! The other most common type of resolutions are the ones that pursue self-improvement. While this is tied to happiness in a way, this deals with you changing your actual lifestyle so that you form more productive and empowering habits. Fortunately, a medi-spa can help with that too. We live in an age where we’re encouraged everywhere to engage in habits which are detrimental to our bodies. We are peddled crappy junk food everywhere we go, and live sedentary lifestyles in office jobs. We are sold products at every turn which are made with cheap ingredients and components so that mega-corporations can save a buck. With these factors combined, it’s not uncommon for the average American to experience weight gain, general fatigue, and skin problems. Medi spas can help with all these things! Our body wrap procedure can help trim down on cellulite and promote weight gain, and spa services, in general, leave people feeling refreshed — hence the name “Rejuvenation” for our spa. And, of course, we offer a smorgasbord of skin care services, whether you want European facials, microdermabrasion, Picosure tattoo removal, or high-quality skin products. What are goals even for, if not to make us happier and healthier? We have no way of knowing your exact New Year’s resolutions, but we’re confident that we can help you with them in some way, shape, or form here at Rejuvenation Medi Spa. Serving the people of Prince Frederick, La Plata, and the surrounding areas, we encourage you to stop by today, and to contact us if you have any questions!